Since the Eurozone Crisis a host of monetary and fiscal instruments have been used to try to reinvigorate growth and achieve financial stability, with mixed results. Basel III’s counter-cyclical capital buffer (CCB) is one such instrument which was met with scepticism. This column uses evidence from the Swiss economy to show that given the right circumstances and political will, the CCB can achieve financial stability. By virtue of a strong domestic economy, Switzerland has been one of the first advanced countries to be testing the key macroprudential instrument of Basel III, the counter-cyclical capital buffer (CCB). This column draws preliminary lessons from this experience. The main message runs counter to the predominantly sceptic view. It says that a pragmatic, determined prudential approach can work and deliver financial stability. This does not mean that in the Swiss case all dangers have been set aside, but the process and actual result suggest that the goal of achieving financial stability is within reach when the political will is present. Understanding this message requires being specific about the Swiss context. Three elements of background are relevant. First, the Swiss economy is not home to large unregulated non-bank financial institutions. Financial stability can be narrowly defined as mastering the risks generated by the (large) banking sector, i.e. by the two very large – in relation to GDP – internationally active banks on the one hand, and the domestically oriented banks, predominantly active in mortgage lending on the other. Second, Switzerland’s financial stability risks can be said to be entirely under domestic control. This may come as a surprise. In the case of a small open economy with a safe haven currency, one might expect that external capital inflows such as those observed since the inception of the crisis would have been a dominant factor in the dynamics of domestic asset markets. This does not appear to have been the case. Most (but not all) foreign investors seem to have limited their positioning in Swiss francs to cash and derivatives with little detected spillovers to the stock and real estate markets (but massive exchange rate appreciation pressures). 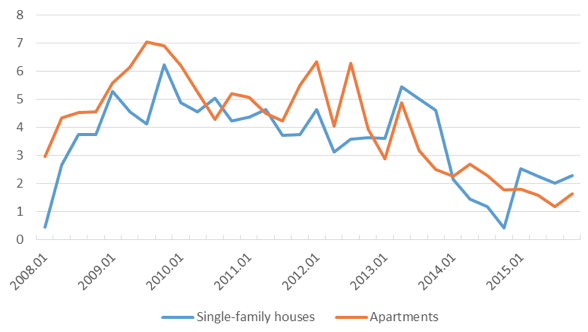 The same can be said of the re-positioning of Swiss residents (repatriation flows) until recently at least.1 The sources of the very dynamic real estate market are thus mostly internal resulting from the strong domestic economy – it is noteworthy that Swiss domestic consumption slowed but did not fall during the crisis, the high immigration inflows (largely a result of the free mobility agreement that Switzerland signed in 2004 with the EU), and the extraordinarily low interest and mortgage rates that have prevailed since autumn 2008. Third, following the UBS debacle the Swiss authorities addressed the too-big-to-fail problem of the two large Swiss banks with unusual speed and determination. Here one might classify the set of measures adopted under the heading of structural macroprudential policies. They materialise in the form of capital, liquidity and organisational requirements for the two big banks that go beyond Basel III and were imposed before international rules took effect. It is fair to say that Switzerland has been among the leaders in the fight to make systemically important banks more resistant and to eradicate the too-big-to-fail problem (see the Brunetti Report (Brunetti et al. 2014). While these efforts have to some extent been held back by the timidity of the international approach and as a result the work is not yet completed (in particular on the front of resolvability), I will focus exclusively on the other dimension of the financial stability problem: confronting the real estate market exuberance. The Swiss story is one of an emerging housing bubble being tamed through a pragmatic, multi-pronged approach adopted in concert by three separate authorities and the banking association. While the process may have been helped by a lucky constellation and the full story may not be told yet, it delivers the message that the job can be done and the toolkit can be adapted to the nature of the problem. 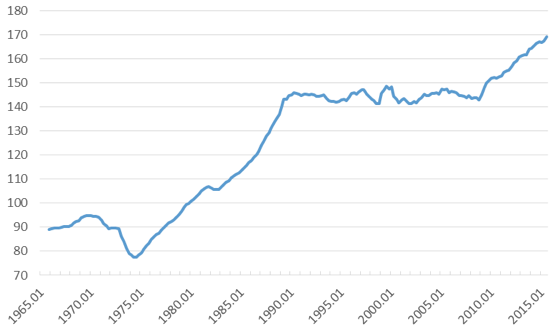 Figure 1 shows that Swiss real estate prices have been on the rise since the beginning of this century after a decade-long fall from their previous peak. 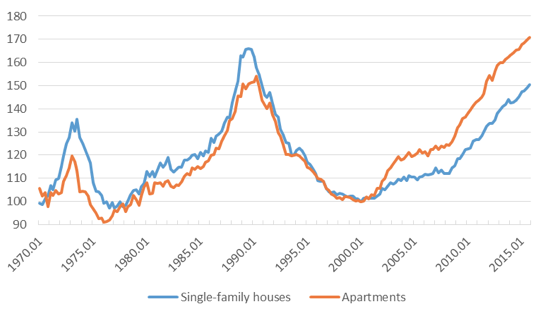 A price-to-rent diagram delivers approximately the same message as Figure 1 although the price-to-rent ratio remains below the peaks of the early 1990s, while Figure 1 shows that the previous peak in the price of owner-occupied apartments has now been overtaken. The piercing of what is consensually interpreted as a bubble at the end of the 1980s had devastating consequences for the real estate and financial sectors in Switzerland. The banking sector was re-dimensioned, and the early 1990 GDP level was not reached again until the end of the decade. In reaction, a number of structural measures were adopted with the intention of preventing a repeat.2 Thus, the normal practices of the Swiss banks correspond to a loan-to-value (LTV) not in excess of 80% and a debt service that should not exceed 33% of income under normal (steady state) mortgage rates. Both of these practices are conservative by international standards. ‘Exceptions to policy’ are possible, however, and can be expected to increase in number notably in periods of low interest rates, when a strong demand for credit accompanies pressures on bank profitability. Confronted with these indicators, which in one form or another correspond to the main crisis predictors identified in the literature (e.g. Borio et al. 2009), it was the task of the authorities to appreciate the approximate risk level and to decide on corresponding prudential measures. Switzerland has no Financial Stability Board. The responsibility to address financial stability risks is shared between the microprudential authority (FINMA), the Ministry of Finance and the Swiss National Bank (SNB), with each of these bodies being ultimately responsible for different policy instruments. Such an informal arrangement is far from the notion of a Financial Systemic Risk Board or a single Macroprudential Authority often favoured in the economic literature and promulgated by the IMF (IMF 2011). However, Switzerland’s first experience with macroprudential policy since 2008 suggests caution in asserting the necessary superiority of one form of arrangement over another without paying attention to local circumstances. Figure 4 summarily represents five sets of measures adopted by the authorities between July 2012 and September 2014 to address the identified risks. All these measures were adopted in the context of an increasing awareness among experts and in the public to the financial stability risks linked to the residential housing market. The growing level of risk had been advertised since 2010 in the annual Financial Stability Report of the SNB. The new element in the picture is that from July 2012 on the SNB could also act by activating the CCB, where before it could only talk. The first set of measures in 2012 indeed included the legal basis for the activation of the CCB, a decision that was to be taken by the Federal Council under proposal of the SNB and after hearing the view of the FINMA. Opposition to this development was strong among banking circles and it may be said that the FINMA was not enthusiastic either with the possibility that the SNB could become more active – or active beyond moral suasion – in this area. But the threat of a SNB move did help focus its partners on the consequence of inaction and may have helped them adopt ‘substitute’ measures that they would not have agreed to otherwise. 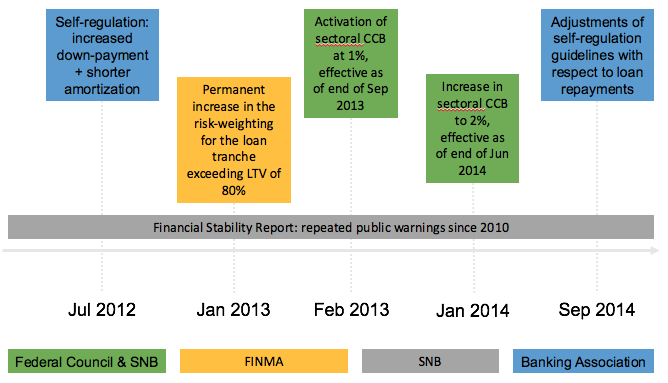 This somewhat bumpy start for the CCB led to an increase in the intensity of the discussion between the various actors, in particular between the SNB and the FINMA on the one hand, and between both these and the SBA on the other. As a result, the increase of the CCB in January 2014 was preceded with a thorough common evaluation of the risk situation and of alternative measures. The increase was adopted, this time with the approval of the FINMA, and it was accompanied a few months later by additional self-regulatory measures, specifically an increase in the speed of the required mortgage repayment. It appears that these interventions were collectively effective. 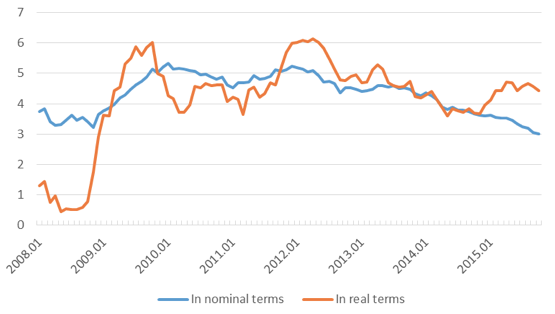 Figure 5 shows that the growth of mortgage volumes (in nominal terms) has slowed from a peak of more than 5% to about 3%. Figures 6 (in real terms) and 7 (nominal values) indicate that the increase in house and apartment prices have fallen in a range of about 1 to 3%.5 They are actually on a slightly decreasing path in the regions with the largest price increases (in particular in the Zurich and Lake Geneva areas). In its June 2015 Financial Stability Report, the SNB stated that “growth in mortgage volumes and real estate prices has stayed roughly in line with fundamentals in recent quarters. 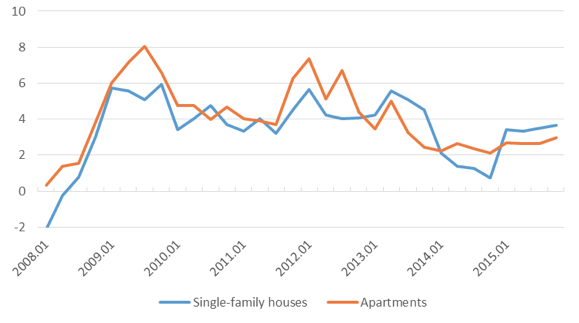 As a result, overall, imbalances in the mortgage and residential markets have remained broadly unchanged”. In other words, it is too early to claim victory – imbalances have not decreased yet and the risk level remains high – but a battle has clearly been won. From an international perspective such a soft landing following a bubbly episode, without crash or even a noticeable induced macroeconomic slowdown, is remarkable. This description of the sequence of policy decisions by Swiss authorities may deliver the image of hyperactivity and indeed accusations of over-regulation have not been lacking. My view is that the opposite is true. The reality is that none of the adopted measures, by itself, would have been enough to significantly slow down the market dynamic, while collectively they did the job. Furthermore, the fact that “soft” measures were progressively and cautiously piled on top of one another also meant that there was no abrupt “sudden stop” and that the market did not crash. This assessment, however, also contains the message that at the conceivable levels – notably with the Basel III maximum of 2.5% of risk weighted assets – the CCB, by itself, would not be a sufficient instrument to counter systemic risk, for all its qualities as an indisputable precautionary measure boosting the resilience of the system. One can draw other lessons from this episode. First, the critical element for a successful collective strategy is arriving at an approximate consensus on the outstanding risks and on the need to act. This requires sharing information early without attempting to impose a pre-set view as to which instrument would be best to address the problem. Second, it is useful to remain pragmatic as opposed to dogmatic. To reach the objective of slowing down an exuberant dynamic, various instruments are likely to be substitutes. Differing views about the order of priority are not critical if the issue is addressed early enough so that one can wait to observe the evidence of impact of the first chosen instrument while at the same time being open to go down the list of instruments if more action is needed. Third, one of the beauties of the CCB is that it is a very effective precautionary measure. By construction, it never fails in increasing the size of the capital cushion. Moreover, it has a very small cost – the required equity capital is not lost but simply set aside and, if it is not absorbed by subsequent losses that would fully justify its being set aside by the banks, it can be liberated at a later stage of the financial cycle, notably for distribution to shareholders. To conclude, Switzerland has been lucky enough to manage stabilising its bubbly real estate sector thanks to the coordinated use of a variety of prudential instruments. In so doing it has demonstrated that a pragmatic application of macroprudential policy, broadly defined, can deliver financial stability in a specific but meaningful context. Switzerland is not out of the woods yet. It is too early to claim victory but a path has been followed and a process has been established. There is little doubt in my mind that, if needed, additional measures could be taken and that they would be effective. This does not guarantee that they will be adopted. There is always the danger that the necessary political will may not overcome the pressures of the banking and real estate lobbies. The reality, however, is that the real estate sector is one where there is very little social benefit in extraordinary risk taking. There is no serious reason, except for misguided private interests, not to adopt a conservatively prudent stance as regards systemic risk. Gathering the political will required to adopt the necessary measures should therefore be in the realm of feasibility. Authors’ note: I would like to thank, without implicating, Patricia C. Mosser and Till Ebner for their comments and support in the drafting of this column. Borio, C, and M Drehmann (2009), “Assessing the risk of banking crises – revisited”, BIS Quarterly Review. Brunetti, A et al. (2014), “Group of independent experts on the further development of the financial market strategy”. IMF (2011), “Macroprudential Policy: An Organizing Framework”. 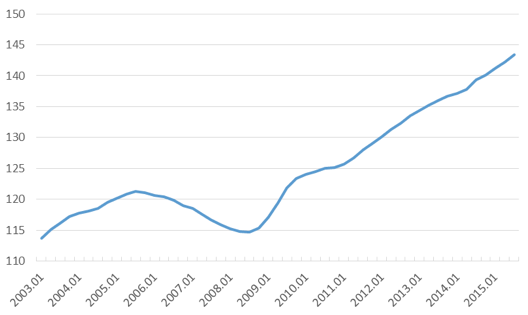 Jordà, O, M Schularick and A M Taylor (mimeo 2014), “The Great Mortgaging: Housing Finance, Crises, and Business Cycles”. The perceived attractiveness in current circumstances (negative interest rates) of the Swiss real estate sector is tempting for institutional investors with decreased non-CHF investment allocations but this is a recent phenomenon. This fresh memory of a cataclysmic real estate development is another significant element of context. As a final diagnostic observation one should mention that the share of GDP devoted to construction has barely moved over the last years, a reassuring development that can partly be explained by the substitution of residential construction for other construction projects and by labor-saving productivity gains in construction. Given the clearly sectoral nature of the systemic risk confronting the Swiss economy – perfectly circumscribed to the residential real estate market, the SNB has proposed the activation of a sectoral CCB, i.e., an increase in capital requirements associated with residential mortgage assets. Pronounced variations in inflation following large exchange rate movements exacerbate the volatility of these already volatile series. The downward trends are unmistakable, however.